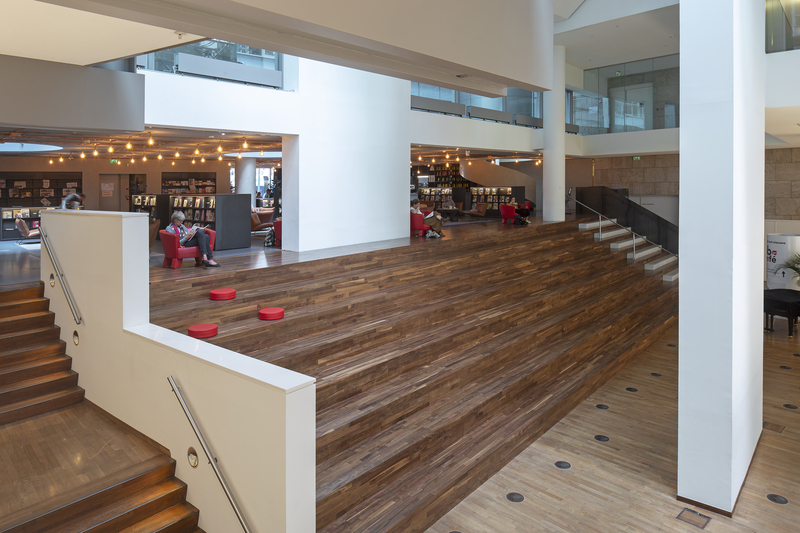 It has been 10 years since the central Public Library of Amsterdam at the Oosterdokseiland opened. 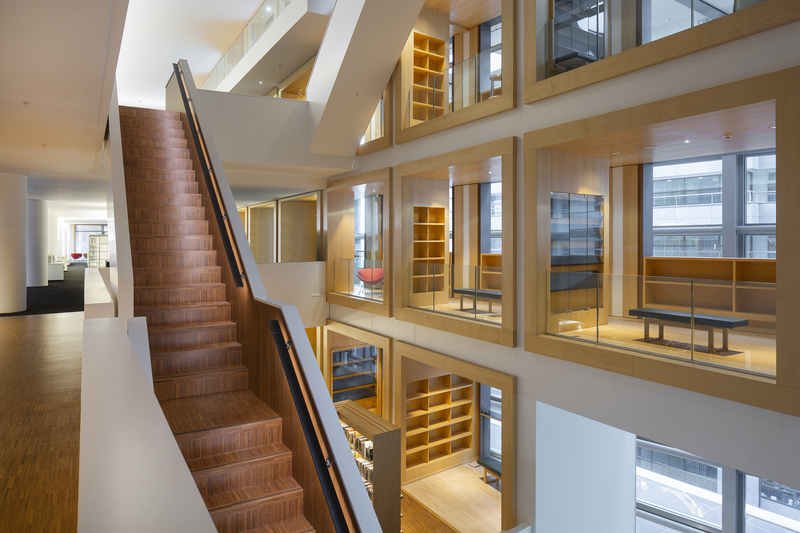 Due to the changing context of modern society, an intense renovation of the building was required. 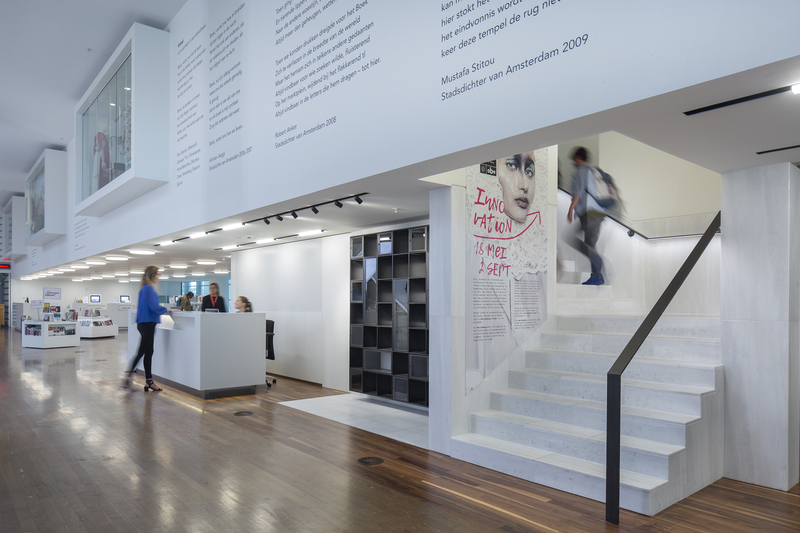 A few factors that contribute to this changing context are the fact that Amsterdam has the enormous amount of 180 nationalities living in the city, its municipality has a policy to keep young families with children in the city, there is a growing demand for study places, less subsidy is coming from (local) governments, therefore more income needs to be generated by the rental of meeting rooms and the sale of food and drinks, and there are more joint initiatives with other (cultural) institutes of Amsterdam such as the Volks Universiteit, the Eye cinema and the Maison Descartes. 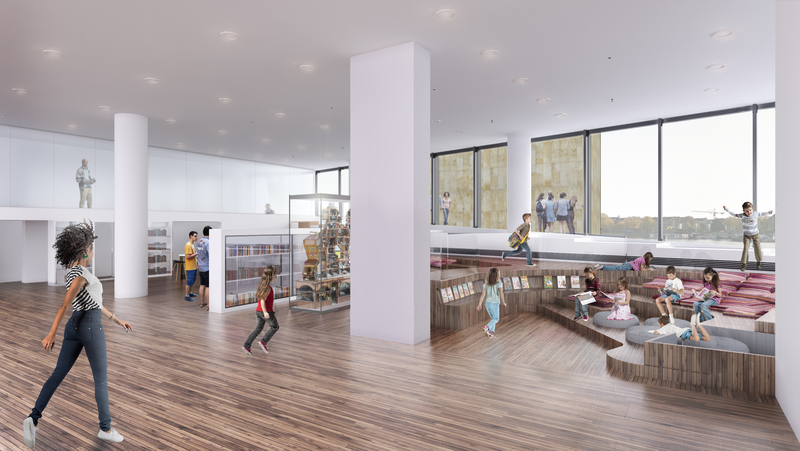 These matters have led to a redesign of the children’s section, a bigger conference room area with meeting rooms that facilitate a wider range of groups, a new Grand Café and a bigger restaurant on the top floor. 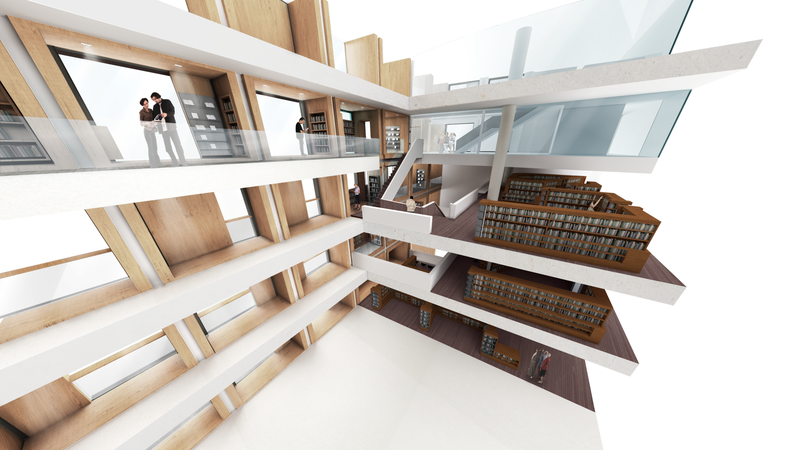 Probably the most exciting addition to the program of the Public Library is the “Library of the world”, a specific area reserved for the display of international books, partly designed as an exhibition, partly as a new interpretation of the traditional library. 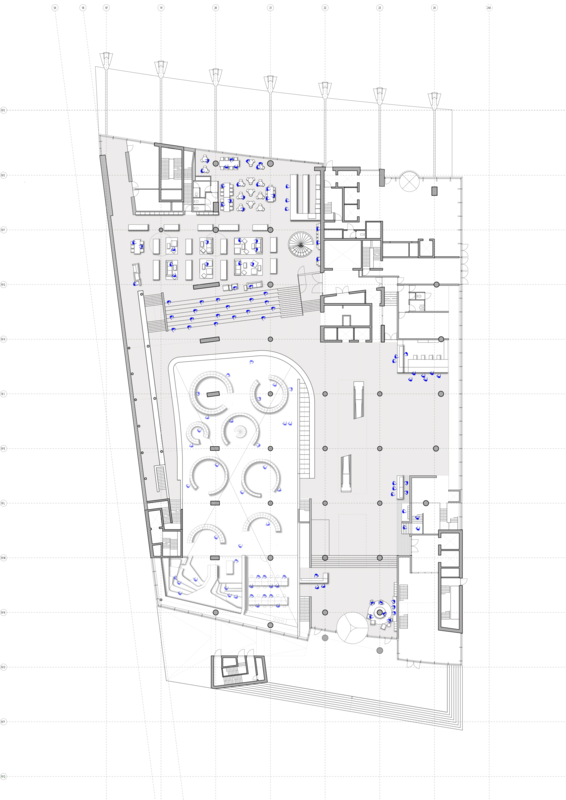 On top of these changes, and after having analyzed the current flow of visitors and “front-of-house” and facilitating areas that came together in a sometimes too direct way, a lot of floors have been reorganized with the creation of new stairs, toilet groups and info desks. 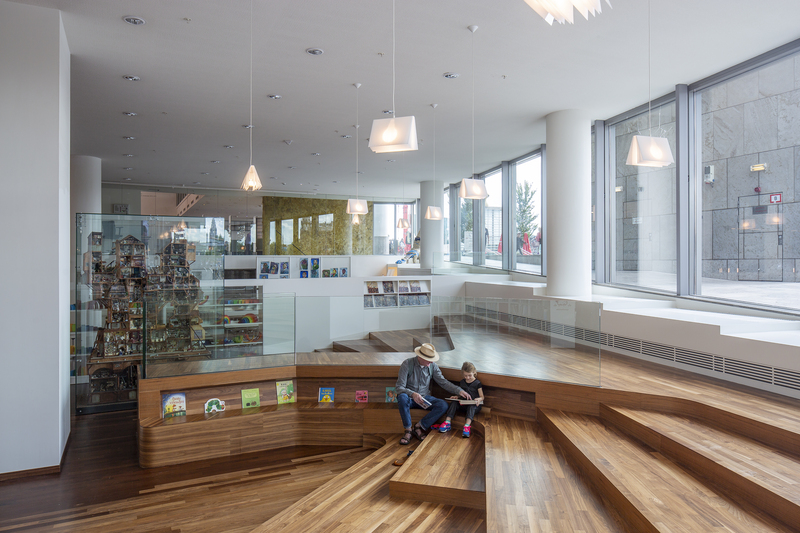 Even more so than it already used to be, the Public Library is treated as a city within a building, thus changing the meaning of the modern library into a place to share information in the broadest sense, rather than being merely a building where one can go to read books.